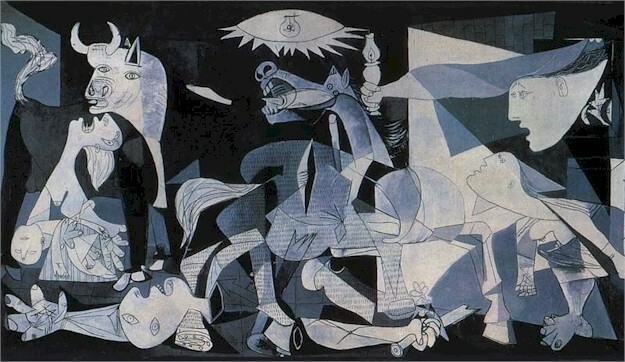 It has been 75 years since the outbreak of the Spanish Civil War. Few conflicts in history have been as widely misunderstood, or misrepresented. The standard narrative has long been that of a military coup against a democratic government and the noble Spanish people, supported by foreign idealists, heroically fighting evil “fascists.” This is a grotesque distortion of the truth, and stands as one of the most flagrant examples of how propaganda has been uncritically accepted as official history. First, it must be emphasized that the Leftist Spanish regime at the time of the nationalist revolt was by no means a coalition of mildly progressive liberals and socialists as it is usually described, but was, in fact, a reign of Communist and anarchist terror. Secondly, less than half of the Spanish military rebelled. The government forces were also at least as well equipped as the nationalist rebels, and they had greater economic resources at their disposal. These distortions have also been evident in other recent accounts of counterrevolutionary efforts. Since mainstream Western historiography has been confined to more or less Marxist interpretations for over half a century, few today are aware of the many popular uprisings that occurred after 1789 against the Revolution, in defense of Faith and homeland, from the Vendée in 1793, to Hungary in 1956. As opposed to the famous liberal and socialist “revolutions,” many of which have, in reality, been internationally organized coups, ordered and paid for by international finance, these counterrevolutionary uprisings have almost always been at a hopeless disadvantage, and as a result ended in tragic defeat, and have thus been rendered obscure. The Spanish Civil War is the one great exception. It is the only major conflict in the modern history of Europe that nationalist, counterrevolutionary forces won. Like most other Catholic countries after the French Revolution, Spain had been plagued not only by wars, but by capitalist centralization, industrialization, and Masonic persecution of the Church, resulting in the proletarization of large segments of the population. The country’s national pride had just about recovered from the loss of nearly all of its South American colonies in the early nineteenth century when, in 1898, Spain lost Cuba and the Philippines to the United States in humiliating fashion. Spain managed to stay out of the First World War, but was increasingly affected by internal conflicts and the general turmoil of the time. After an embarrassing military defeat in Morocco, a group of generals led by Miguel Primo de Rivera carried out a coup d’état in 1921. His dictatorship was a time of relative stability in which no political opponents were executed. After seven years he handed over power to the King, Alfonso XIII. This monarch was kind, but weak, and more interested in ladies, horses and sport than the governance of his kingdom. After royalist candidates suffered setbacks in local elections in April 1931, he abdicated. Whether he genuinely feared the revolutionary currents in the country or seized an opportunity to rid himself of his burdensome office (or both) is hard to tell. Thus the Second Spanish Republic was proclaimed, with a government dominated by Masons, liberals and socialists. This heralded the beginning of the Spanish Revolution. Just like its French and Russian precursors, the primary object of revolutionary hatred was the Church. Already by the end of May 1931, over a hundred churches and convents had been burned to the ground by Communists and anarchists. Madrid was the worst afflicted area. Neither the police nor firefighters intervened. From now on, priests, monks and nuns were more or less fair game for the extreme Left. The government itself embarked on a campaign of religious persecution, confiscating the property of religious orders, closing Catholic schools and banning crucifixes from public spaces. This soon came to pass, and on a large scale. On 5 October 1934, an attempt at revolution against the legally elected government was made in Asturias, on the north coast. The revolutionary forces consisted of 20,000 socialist miners, 6,000 Communists and uncounted thousands of anarchists. After 17 days of Red terror, including such atrocities as the slaughter of 34 priests, members of religious orders and seminarians, the Army intervened. Two days of fighting resulted in 1,300 dead and over 3,000 wounded. One of the generals in command was Francisco Franco, who has since been criticized for having dealt too harshly with the Reds. However, at the time, anyone of normal intelligence understood what a Communist regime would mean, and realized that any attempt to establish such a regime had to be firmly nipped in the bud. The Communist massacres in Russia and during Bela Kùn’s short-lived, but blood-soaked, reign in Hungary had not yet been smoothed over and hushed up in the manner which was to become the norm in the post-war Western world. Leftist liberal and Freemason Manuel Azaña once again became Prime Minister, and Spain quickly descended into violence and chaos. It was difficult for most Spaniards, whether they were for or against the new government, to fail to see it as only a transition prior to a Communist takeover. The parallels to the February 1917 Revolution in Russia were obvious. After the Tsar was forced to abdicate, Russia was formally run by the socialist and Freemason Kerensky, who paved the way for the Bolshevik Revolution in October of the same year. The Red Terror followed. During the Republican regime’s first four months, the violence, which was de facto sanctioned by the government, claimed 269 dead, 1,287 wounded, 160 demolished churches, 341 strikes (one-third of which were general strikes), 146 bombings and ten destroyed newspapers. Up until the outbreak of the Civil War, the violence predominantly came from the extreme Left. However, the Falangists, themselves a prime target for Left-wing violence, responded in kind. Falange Española, the Falange, was the fascist party of Spain, founded and led by José Antonio Primo de Rivera, the oldest son of general Miguel Primo de Rivera, who, with the King’s approval, had been the country’s military dictator from 1921 until 1928 (he died in 1930). The Falangist social doctrine was radical in many ways. They did not designate themselves as fascists but as National Syndicalists, and there was a clear Left-wing element in this movement, which at the same time was generally strongly Catholic and nationalist. It also had a more intellectual profile than most fascist movements, which did not hamper a substantial influx of members from all social classes. The other militant party of the Right was the Carlists. The movement took its name from a pretender to the Spanish throne, Don Carlos, whose claims led to three major wars during the nineteenth century, the Carlist Wars of 1833–40, 1847–49, and 1872–76. This was not merely a series of conflicts regarding monarchical succession, but wars fundamentally motivated by ideology. The Carlists represented a deeply religious, regional and rural conservatism in opposition to the reigning bourgeois, capitalistic liberalism which adhered to the principles of the French Revolution. Carlism had its immediate roots in the guerillas of the early nineteenth century, who had defended Faith and homeland against Napoleon’s armies. The same tactics — to compensate for inferiority in military strength by exploiting one’s superior knowledge of the terrain — had been systematically applied with considerable success by the politically kindred Vendéens and Chouans against the Revolutionary oppression of late eighteenth-century France. The Spanish officer corps at this time was infested by Freemasons at its highest levels. Only 17 generals sided with the rebels, whereas 22 stayed loyal to the Leftist regime. Francisco Franco was not originally a driving force behind the rebellion, but soon after he joined, he became its natural leader. At the time of the uprising he was stationed in the Canaries, an unusually peripheral post for an officer of his merit. The government clearly regarded him with some suspicion. He had, however, served for most of his career in Morocco, where he had distinguished himself fighting Muslim rebels and played an important part in the creation of the Spanish Foreign Legion (modeled after the French), of which he had also been the commander. He was highly respected by his men and fellow officers alike. The military units in Morocco were of vital importance to the rebellion, since they contained many of the best and most combat-experienced troops, not least the elite force, the Foreign Legion, which was to form the core of the nationalist forces during the war. There were also Muslim, “Moorish” troops who, unlike many Spanish soldiers, were unhampered by conflicts of loyalty. The event that triggered the Civil War was the murder of the leader of the opposition, the highly respected Catholic politician José Calvo Sotelo. He was picked up at his home in Madrid on 13 July 1936 at 3 o’clock in the morning by the Guardia de Asalto, a police force created by the Leftist regime that recruited its members chiefly on their political attitudes. Before leaving his house, he promised his wife and daughter to phone them from the station, adding “unless these gentlemen intend to blow my brains out.” They drove him only a short distance and did just that, dumping the body by the nearest cemetery. As the young socialist terrorist in police uniform, Victor Cuenca, pulled the trigger, he not only murdered Calvo Sotelo, but unwittingly fired the signal for the nationalist uprising. Dolbeau, Christophe, Ce qu’on ne vous a jamais dit sur la guerre d’Espagne (Atelier Fol’fer 2010).